Ashen's slant on the Soulslike subgenre isn't revolutionary, but is a wonderful example of the familiar formula executed well. It's thoughtful, gorgeous, challenging and a dream to explore. 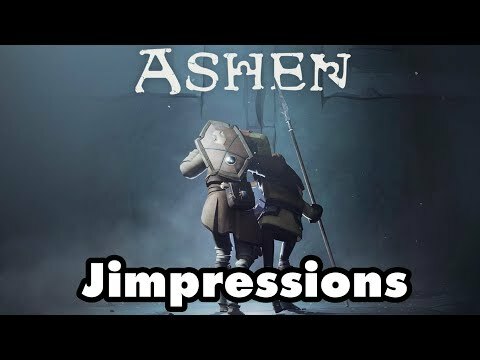 Ashen's handful of new ideas make it a stellar Souls-like with solid combat, a great art style, and an interesting world. A moody, well-wrought action role-player with striking, desolate landscapes and a couple of great dungeons. An inspired approach to co-op and non-player characters turns what could've been just another Dark Souls clone into one of the most interesting action adventures of the season. I like Ashen, it's a good game, it would just be nice to see it building upon the foundation of its muse rather than almost copying and pasting it. 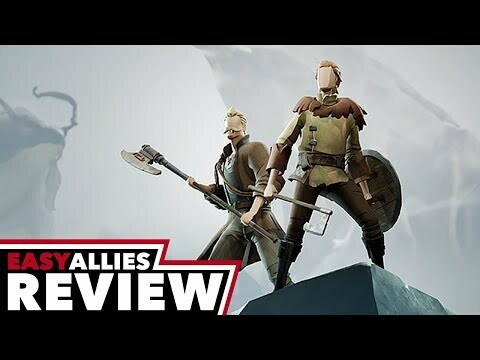 The world of Ashen is its biggest attraction, the lore is deeply entrenched and really pulls everything together into something that is worth playing through. That being said, if you have played Dark Souls and don't want to replay Dark Souls, then you aren't going to get on with this. It is an odd one as I am a huge fan of this style of game, but we need games that build a more exciting game on top of the ideas that have been put down. It isn't enough to be the same but with a different look. Ashen is good, but nothing revolutionary. A lighter souls, yes. But not a lesser one. Ashen uses the Souls-like formula to tell a very different, optimistic story about community. Whether you're playing alone, with an AI companion, or with another person, combat with the game's varied enemies and bosses is challenging and satisfying. Ashen's world feels real and lived-in, and getting to carve out your own settlement and watch it prosper is truly satisfying. Ashen is a souls-like game with a particular focus on the co-op multiplayer. Sadly this feature rarely works as intended, but despite its flaws, the game developed by A44 is still an enjoyable variation to the formula created by Miyazaki and From Software. Ashen is a soulslike, but to call it a clone would be a betrayal of the awesome job A44 have with their debut project. Another Souls-like game which will help you pass the time before the release of a new From Software project.